"Constructive Developmental Theory: An Alternative Approach to Leaders" by Anne Marie B. Hunter, Nancy M. Lewis et al. 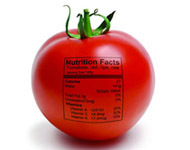 Copyright © 2011 American Dietetic Association. Published by Elsevier Inc. Used by permission. As early as 1954, the critical value of leadership in dietetics was described by Rourke, who wrote, “When the day comes that your executive abilities equal your scientific knowledge, your profession (dietetics) will be secure. Until that day, you will be faced with a constant and unwelcome challenge” (1). Career and leadership skills development have been identified as an area for further attention by American Dietetic Association (ADA) practitioners and student members (2). Creation of the ADA Leadership Institute in 2003 represented an awareness of the need to invest in developing dietetic leaders (3). Proficient leaders are critical in keeping our profession on the cutting edge by identifying areas of need for change and providing leadership for change. Proficient leaders can also serve as role models for members. Leadership has been identified as essential for success in the 21st century and according to Bennis, “our quality of life amidst the volatility, turbulence and ambiguity of our present day societal context, depends on the quality of our leaders” (4). Leadership research theory has been based on objective measures such as traits, attitudes and performance, intellect, personality, relationships, competencies, and values. Dietetic leadership studies are limited and describe these objective characteristics and leadership styles (5-9). In their review of traditional leadership theory, Gregoire and Arendt (10) suggested that more information is needed about how dietitians develop as leaders. The present article describes one theory of leadership development—constructive developmental theory. Registered dietitians at advanced leadership stages can be identified and factors enabling their development can be studied. This theory provides a subjective approach for studying dietetic leadership and gives insight for leadership development programs.